When working on the RV, I sometimes have to disconnect an LP gas line. When I reconnect the line, I will do the usual bubble test using gas leak detector solution. This method works well to ensure I don’t have a propane leak at that particular connection. But what about an overall leak test of the system? 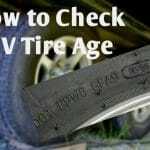 Being curious I started to research the subject on the internet and stumbled across a YouTube video from an RV tech named Guy Presse. He outlined how to build an inexpensive device called a manometer. 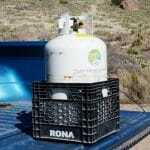 It can be used to check the RV LP gas system for leaks as well as check for proper pressure and regulator operation. I copied Guy’s manometer build instructions fairly closely. 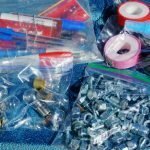 (Hat tip to him for posting it) I picked up 7 feet of clear vinyl tubing (5/16″ inside diameter), a pack of 8″ zip ties and a two by four. I made a zero mark 7 inches from the boards bottom and then marked out 1/2 inch increments and numbered them 1 to 14. Next, I drilled holes for my zip ties and attached the tubing making a loop at the bottom. Then filled the tube with water until it reached the zero markings. For better visibility, I added a bit of blue food coloring to the water. I was now ready to test it out. I first tested by new manometer using the output port for the center burner on my Atwood RV gas stove. I unscrewed the burner and wedged the vinyl tube end over the port. When I turned on the burners valve, the water in the U Tube manometer shot up to around 10 inches of water column. Reading the Atwood stove manual, I discovered they have an onboard secondary regulator, and the output is 10 inches WC. So, my DIY manometer was measuring in the ballpark. Learning about this secondary regulator made me wonder, though. Would the regulator interfere with a leak test of the complete LP gas system? I decided to utilize my outside BBQ grill instead. My gas grill connects to the main RV LP gas line near the main gas cylinders via a quick connect rubber hose. 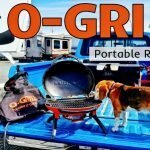 I had my O-Grill modified by having its regulator removed to work on the low-pressure RV line. I removed the grill’s burner and attached my manometer hose. Again I got a good pressure reading. I next turned off the main LP gas tank to see if the pressure would hold. It didn’t! To my surprise, I had a gas leak. With a little troubleshooting, I isolated the gas leak to the grill itself. Removing the covers and leak testing the connections revealed some bubbling. One of the internal pipes had a minor leak easily fixed by tightening a retaining nut. 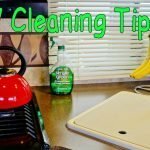 It was great to right away see the benefits of the manometer, exposing a gas leak I was unaware of. Out of interest I put the manometer on the stove again and tested to see if the secondary regulator would impede a full system leak check. I turned off the gas supply and turned on the outdoor gas grill valve simulating a bad leak. Sure enough, the water column quickly dropped. 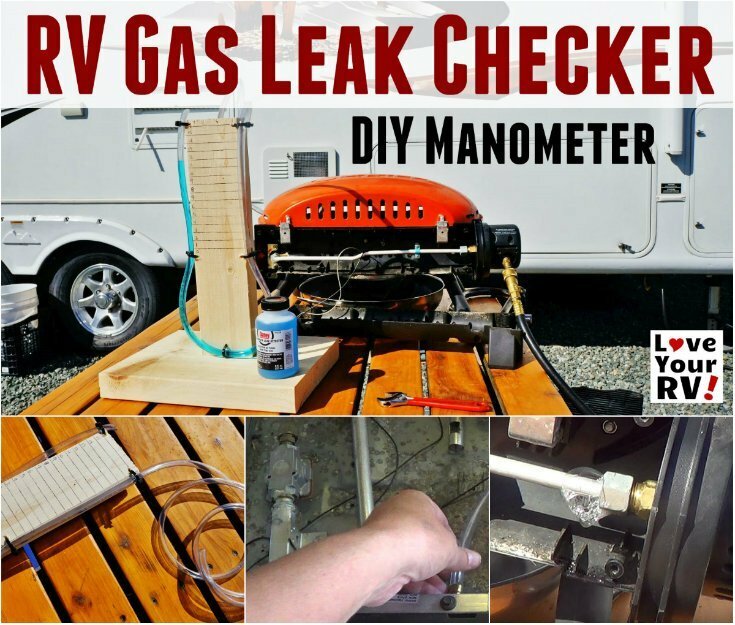 I’m glad I built this simple manometer and taken the time to learn a bit more about our RVs LP gas system. It will be nice to be able to do a quick test if my wife’s sensitive nose smells rotten eggs or I suspect a propane leak on board the RV. 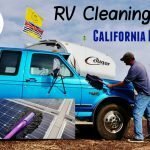 Bear in mind though this DIY leak checker should in no way replace having the RV checked out periodically by a Certified RV or LP Gas Technician. (My home province of BC recommends it every two years and mandatory when reselling an RV) I advise RV owners to research the subject for themselves. 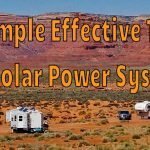 Here are a couple of links I came across to educational articles on the subject of testing an RVs LP gas system. 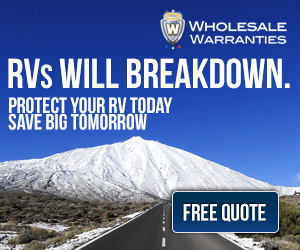 Gary Bunzer “The RV Doctor” – What the Pro’s Do or should be doing! 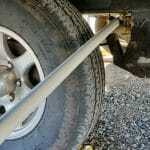 RVers Corner – Make your own RV U Tube Manometer!